Happy Reviews-Day Tuesday, friends! 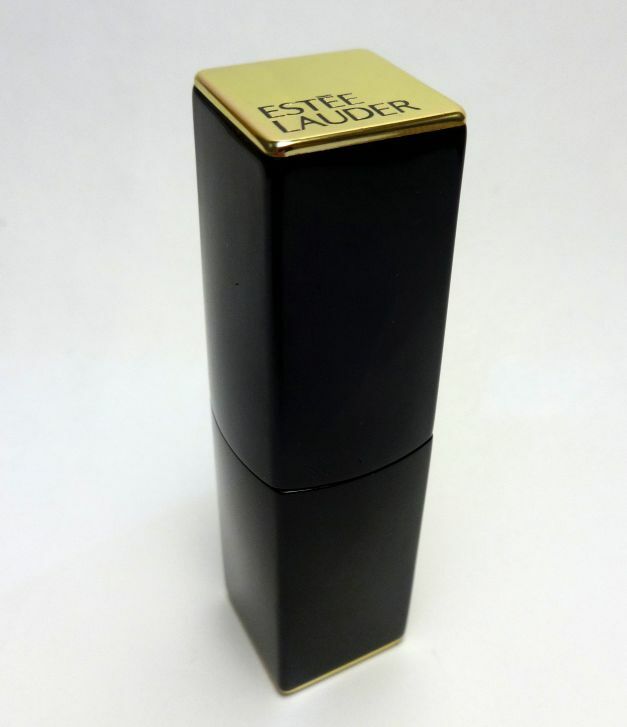 Today I am reviewing a product that embraces one of my favourite trends of the moment, matte lipstick – more specifically, the *Estée Lauder Pure Color Envy Matte Lipstick in ‘Desirous’. Click through for product details, swatches, and a review from yours truly. one-stroke, releasing a uniform layer of saturated ultra-matte color. luxuriously comfortable. Intensely mattified color gives lips a bolder, visibly fuller, defined curvaceous look. 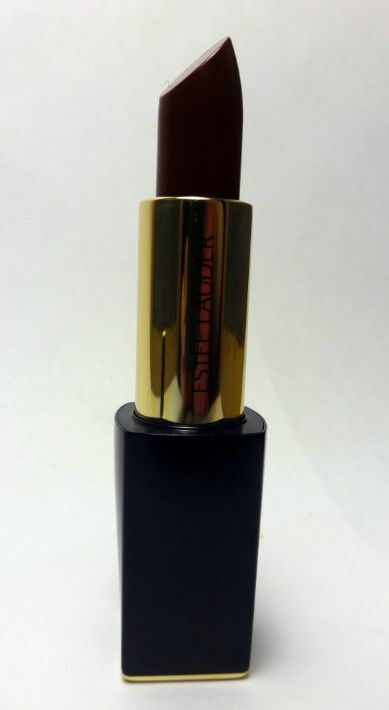 this ultrachic lipstick a statement in pure luxury. 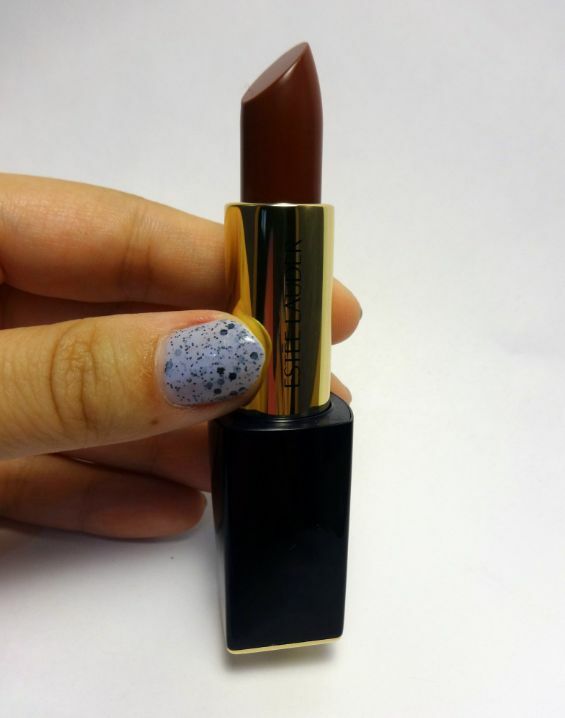 Here are some swatches that I took at the Estée Lauder Fall/Winter 2015 preview. 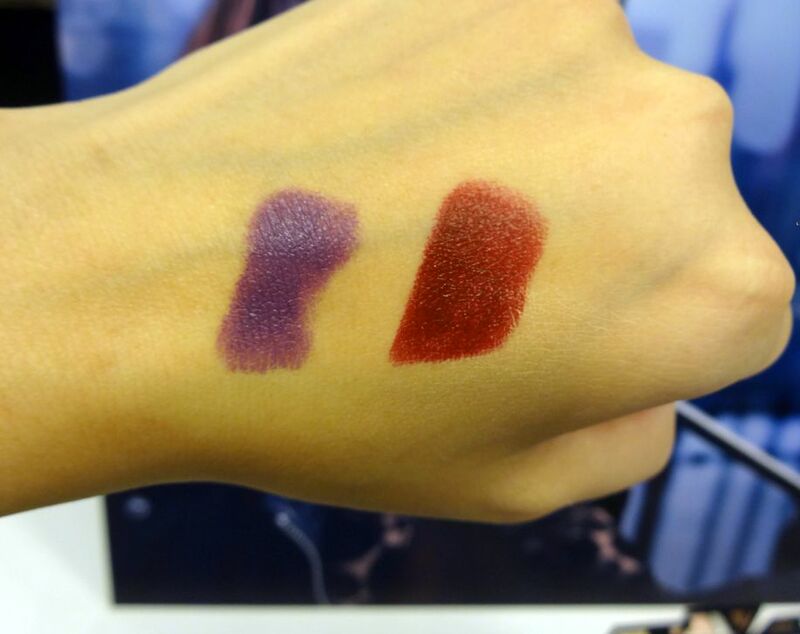 On the left is ‘Shameless Violet’ and on the right ‘Commanding’ (the latter’s name was chosen by Joan Smalls’ instagram followers). 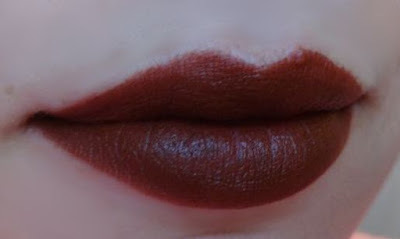 Onto the lipstick that I reviewed, ‘Desirous’, which is described as a deep chestnut brown. It comes in a sleek dark blue and gold tube, and the cap has a magnetic closure. 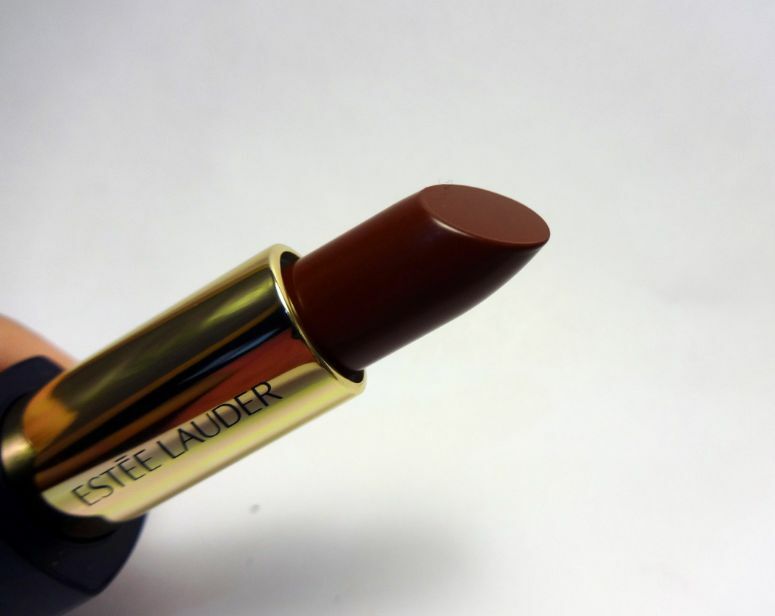 Estée Lauder Pure Color Envy Matte Lipstick in ‘Desirous’, outdoor photo. Although ‘Desirous’ is described as a chestnut brown, in person it comes off a bit more red, which makes it a perfect fall colour. 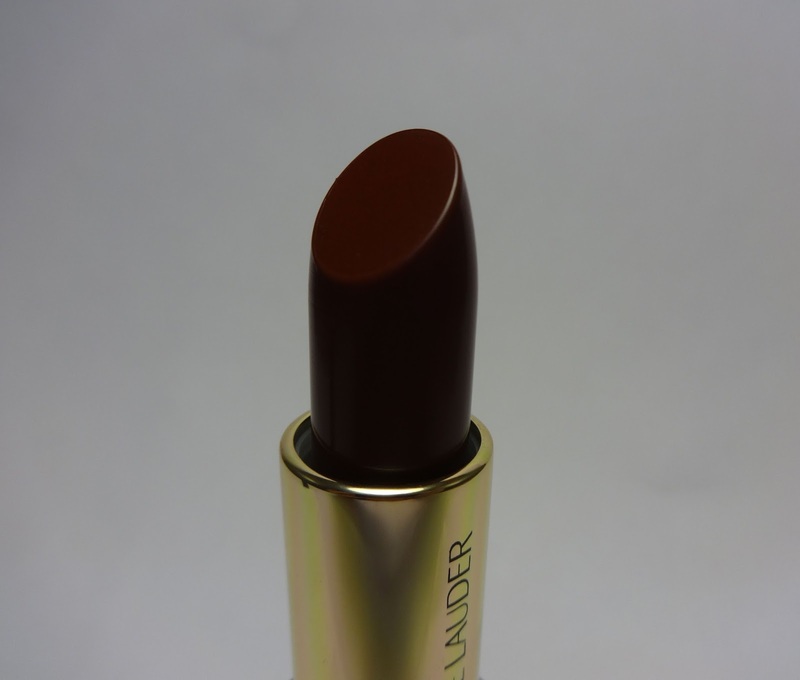 I absolutely love the colour of this lipstick – I cannot wait to sport this with a dark, vampy fall look. 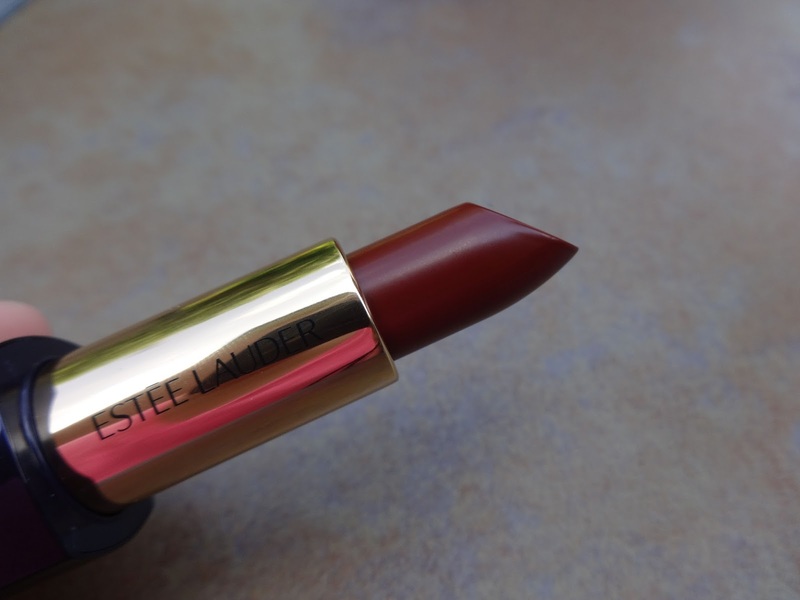 It kind of reminds me of ‘Catsuit’ from Melt Cosmetics, but it’s easier to get a hold of, since Estée Lauder is easy to get a hold of in Canada. 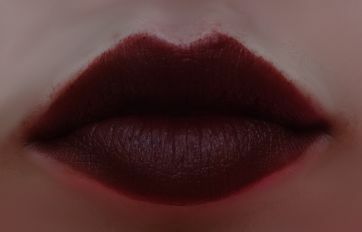 As with any dark colour, I carefully applied the first coat with a lip brush, then applied the second layer like you would any other lipstick. The lipstick lasted for about 4 hours, then started wearing away. 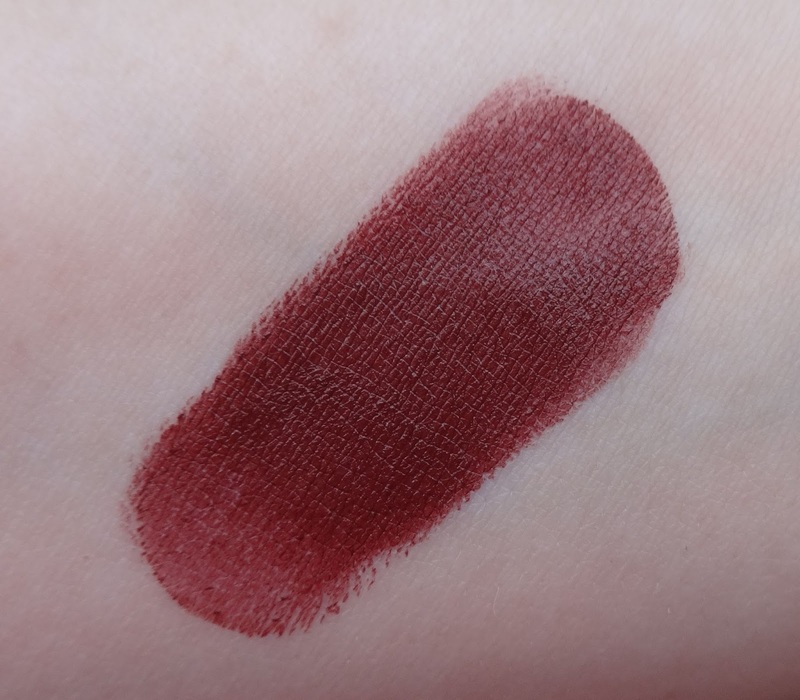 This is marketed as a matte lipstick, however to me it didn’t feel totally matte – it wasn’t matte like how a matte liquid lipstick acts. 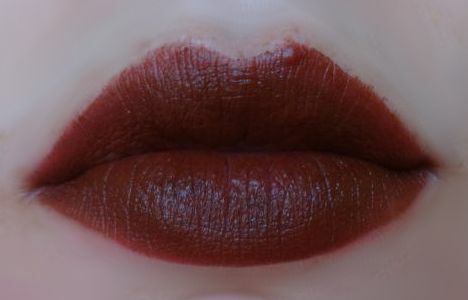 I would classify it as an ‘almost matte’, because it has just a bit of sheen – but that didn’t bother me at all, because in my opinion, it works with this colour. Although it did feel a tad bit drying (most matte lipsticks tend to feel drying), I just rubbed my lips together and felt moisturized.